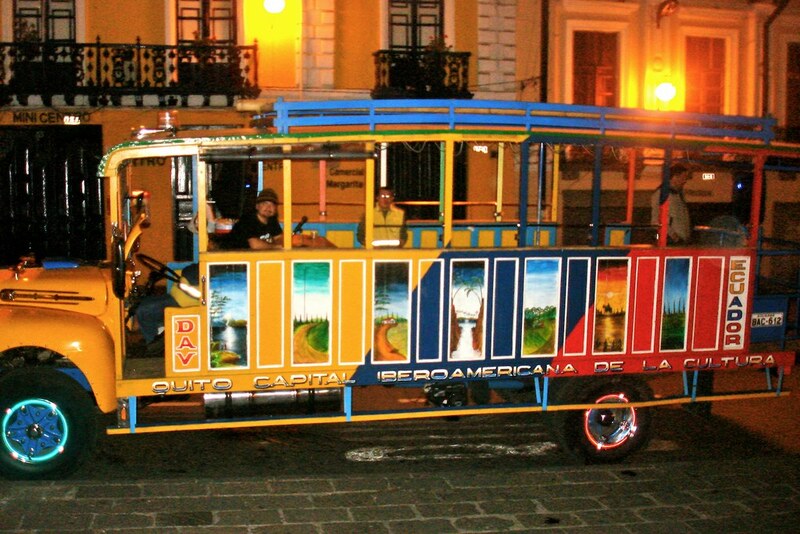 Note: Writing posts like this is how I celebrate major Quito holidays – Que Viva Quito! In many parts of the world it is the most wonderful time of the year, but being in a primarily Muslim community—where the weather is perpetually hot, where the mango season is ending and mostly, where no commercialism is driving the change in seasons—it is easy to forget that it’s actually December. This will be my first Christmas away from home and to avoid severe homesickness, I determined that it would be best to skip the season all together. This—in theory—should be easy; the environment supports it. Yet, as I skip over Christmas songs on my iPod and scroll quickly through Facebook posts about holiday festivities, it is getting increasingly harder to avoid my favorite season and mostly, not to think about home. For those of you who don’t know, my entire family lives in Ecuador and when I think of home, New Orleans flashes through my mind, but ultimately I can’t deny where my heart has always been: Quito. Awhile back I wrote a post on all the things I miss about New Orleans and now, it’s time for me to write about all the best things about Ecuador that I miss and love most. 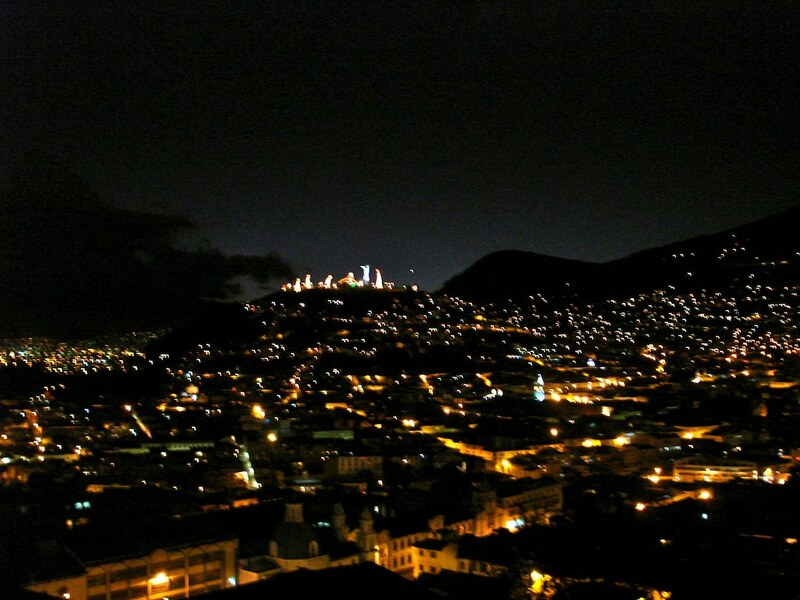 If a starry sky could blanket the earth—that is what Quito at night would look like. The yellow street lamps and house lights make constellations in the silhouettes of the Andes mountains until the winding spirals trail off to uncharted darkness. The feeling of “being at home” for me is directly correlated with looking out of an airplane window as I watch a sky full of stars blend and transform into the glittering lights of the city’s undulations. This, of course, is on the happy occasion my airplane actually lands since the fog enveloping the second highest capital city in the world—2,800 meters above sea level—often reroutes my plane to Guayaquil. This fog is hard to avoid, but when the city illuminates on a clear night, you can see lights spilling over mountains and hills, giving the inspiration for the nativity scenes Ecuadorians build under Christmas trees and inside fireplaces using old shoe boxes, grayish moss and white lights. During December, these lighted hillsides are particularly beautiful. El Panecillo—the bread-shaped hill in the middle of the city— is decorated with a lighted nativity scene built around the large and symbolic Virgin Mary monument sitting aglow at the top of her hill like a cake decoration, constantly overlooking Old Quito. El Panecillo decorated for Christmas. 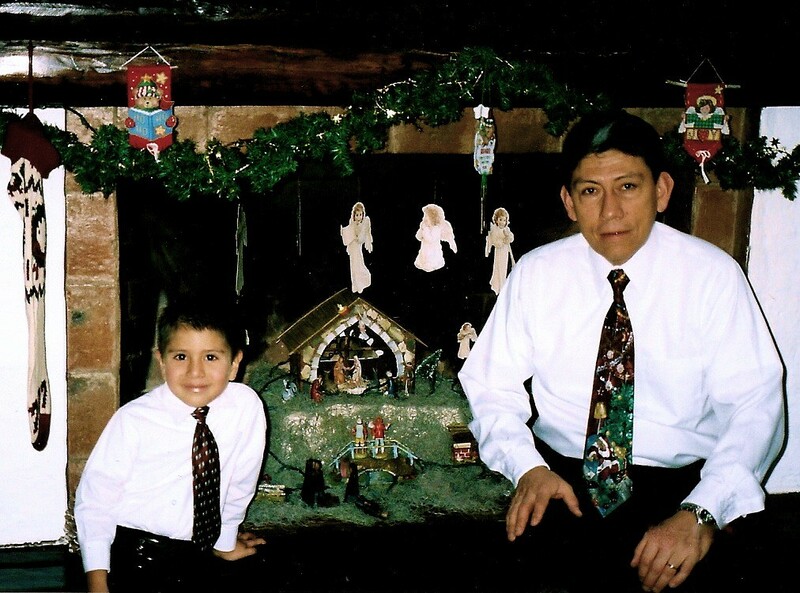 This scent emanates from multitude of Catholic churches in Ecuador, but during Christmas, the woody scent lingers in the air everywhere you go. It’s rustic and heavenly. 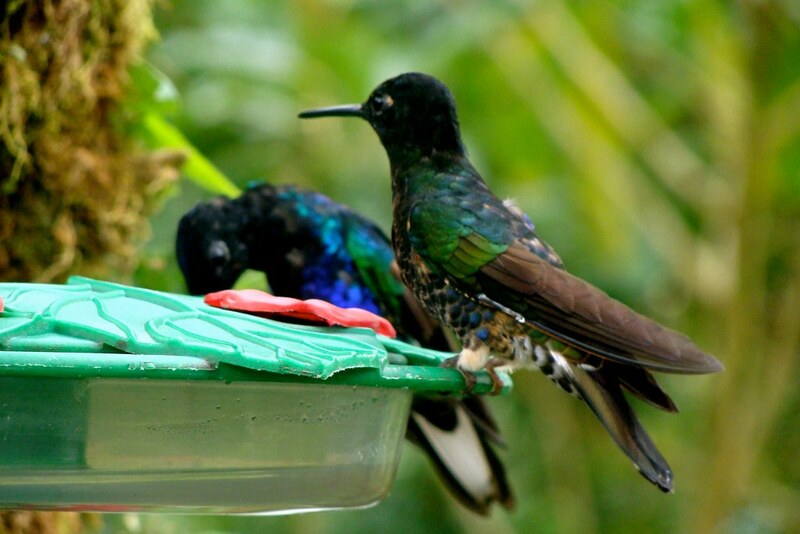 This is my favorite bird ever and Ecuador is full of them. My father is a huge fan of this gorgeous bird and has set up various hummingbird feeders in the backyard. A feeling I associate with being home: drinking amazing coffee in the patio as I watch a steady stream of colorful hummingbirds float through the sky. 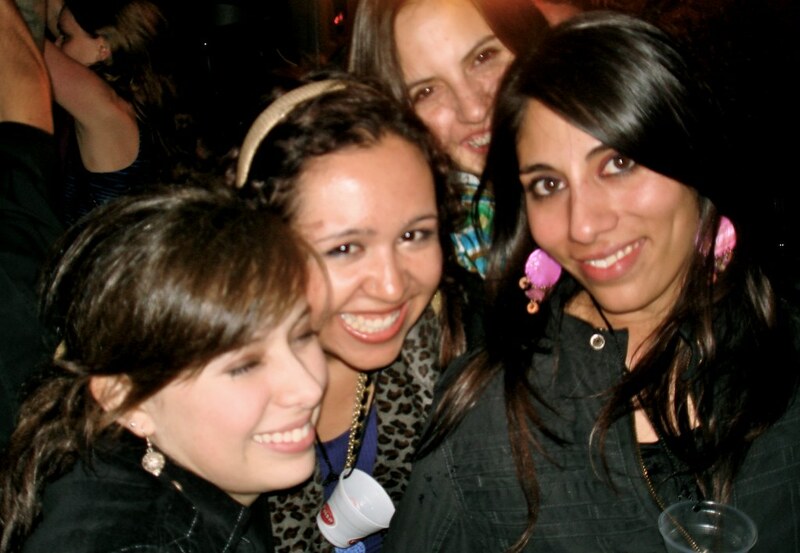 December 6th marks Quito’s foundation day—or Fiestas de Quito—and it’s the biggest party in the city. If there’s one thing Quiteños know how to do is celebrate and that’s especially true on this occasion. Large parties are organized, cuarenta tournaments are underway and the best part of all are the chivas. Chivas are old-fashioned buses painted in bright colors—usually a patriotic yellow, blue and red—and inscribed with wise odes to the joy of life and living. The buses usually have two levels and no seats. As your party boards the bus, each person will be handed whistles, small flags, and a stringed plastic shot glass to secure around your necks. Then, plastic bottles filled with canelazo—a warm, sweet and cinnamon-y drink mixed with aguardiente and naranjilla—will be passed around and under an infectious trance of vallenatos and reggaeton you will soon find yourself dancing on the vibrant bus as it makes its way through most popular parts of the city. My best friends in the world – Gaby, Maria Jose and Natalia ( and I) riding on a chiva a long time ago – note the shot glasses. I could undoubtedly devote an entire post to Ecuadorian food. (And you can feast your eyes on this if you’re really interested in Ecuadorian cuisine.) There’s locro de papa, empanadas, hornado, llapingachos—there’s countless of dishes I could rave about—but if I had to eat one meal for the rest of my life, it would probably be Ecuadorian ceviche. So not my photo and there are undoubtedly better pictures. Trust me though, it’s delicious. Ecuadorian ceviche is unique and not as well known as the famous Peruvian ceviche. It is usually served with salty banana chips, or chifles, and popcorn. There are many different kinds too. There’s some with just shrimp, others with squid, others with heavenly mixture of all kinds of sea creatures marinated in lemon, onions and cilantro. I am tempted to write an ode to how lemony, zesty and delicious ceviche is. In fact, next year, Ramadan’s lack of activity may drive me to writing said ode, and probably one to yogurt and cheese as well. Stay tuned. Ecuador is such a small, but diverse country that you can cover a lot of ground and completely different settings within a few hours. There are rainforests, cloud forests, arid mountain ranges, small towns nestled in those mountains, beaches, islands—ok, maybe not islands, unless you take a very short airplane ride. I’ve lived in Ecuador for the majority of my life, traveled through much of it and it never gets old. It truly takes a lifetime to know a place and I’m lucky I’ve had the opportunity to get to know Ecuador as well as I have. The adventures and variety of activities that await in every corner bursting with beauty and diversity still surprise me. 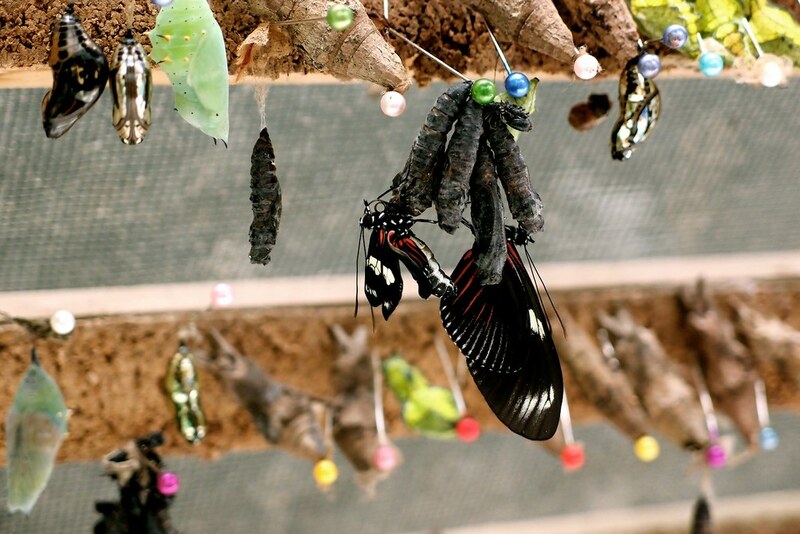 Like watching caterpillars transform into butterflies in Mindo. 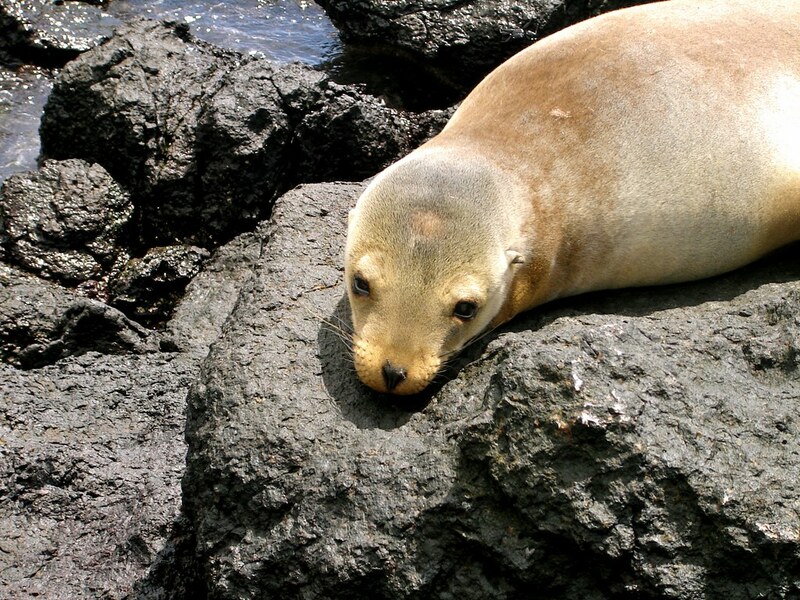 Or looking at baby sea lions THIS close in the Galapagos. 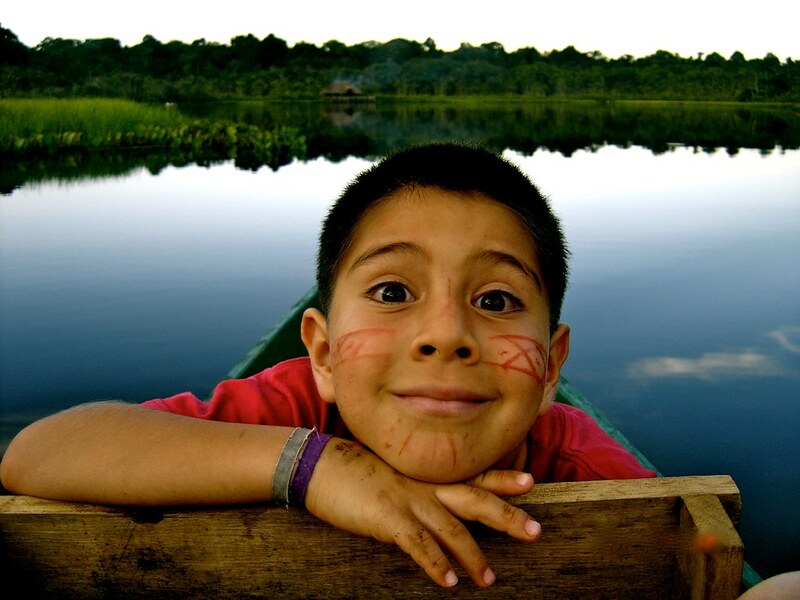 Or canoeing down a pristine river and crystalline lake with achiote drawings on your face in Coca. 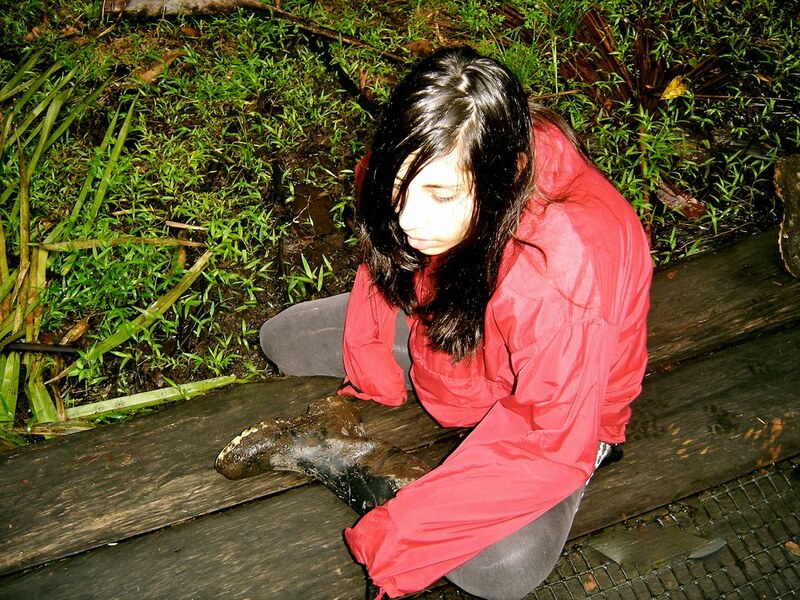 Or trekking through the Ecuadorian part of the Amazon rainforest – which is exhausting, by the way. 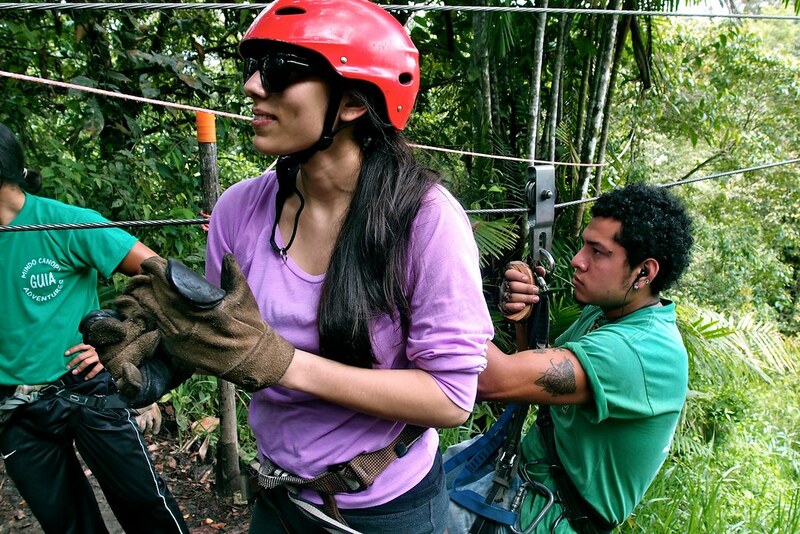 Or canopying through a cloud forest. 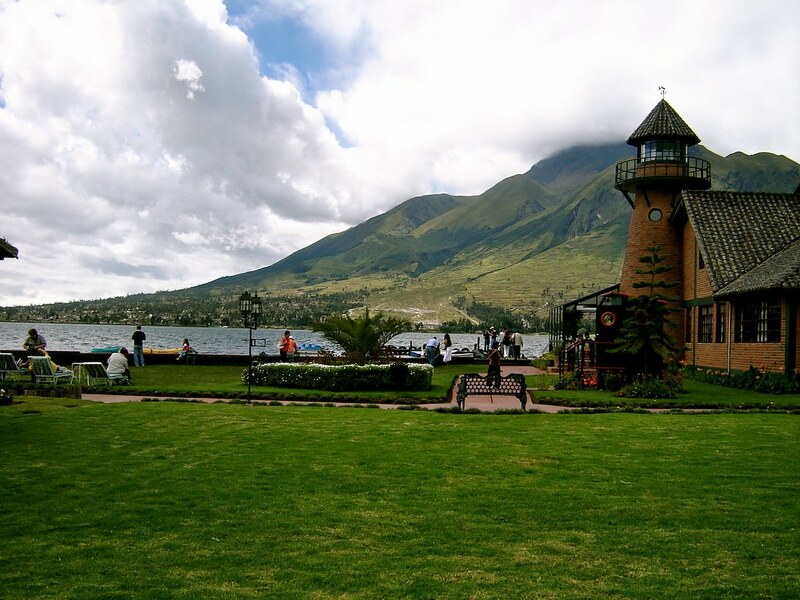 Or eating the best traditional Ecuadorian food in this picturesque cafe by the lake in Otavalo. Indonesia unquestionably has the same potential, but this country is much, much larger and damn, things are far. Just to get to Surabaya from my site takes about 6 to 7 hours by public bus, which is crazy to think about considering I can fly to Ecuador from Miami or Houston in less time. Ecuadorian New Year’s tradition never felt particularly odd until I came to Indonesia and had to explain it multiple times. Each time I hear myself say it, it sounds more and more ridiculous, especially when it’s in Bahasa Indonesia and my students’ faces contort in confusion. This may be the most unique tradition Ecuador has. 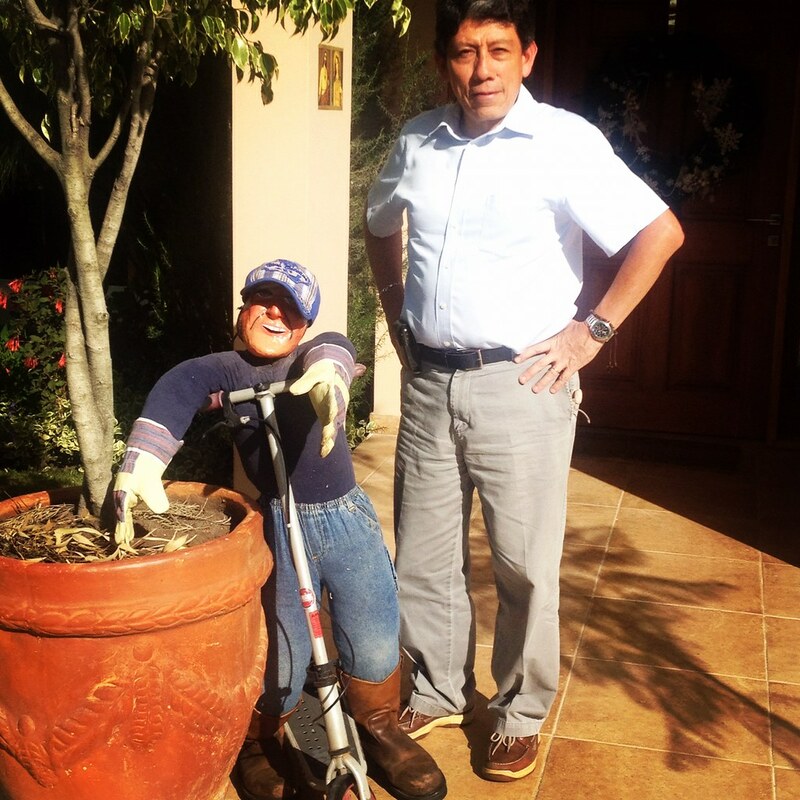 We personify the dying old year with a doll called the Año Viejo or “Old Year.” Each household buys or makes their own doll from newspapers, sawdust and old clothes and tops it off with a mask—often the face of a failed political figure or famous caricature from the previous year. 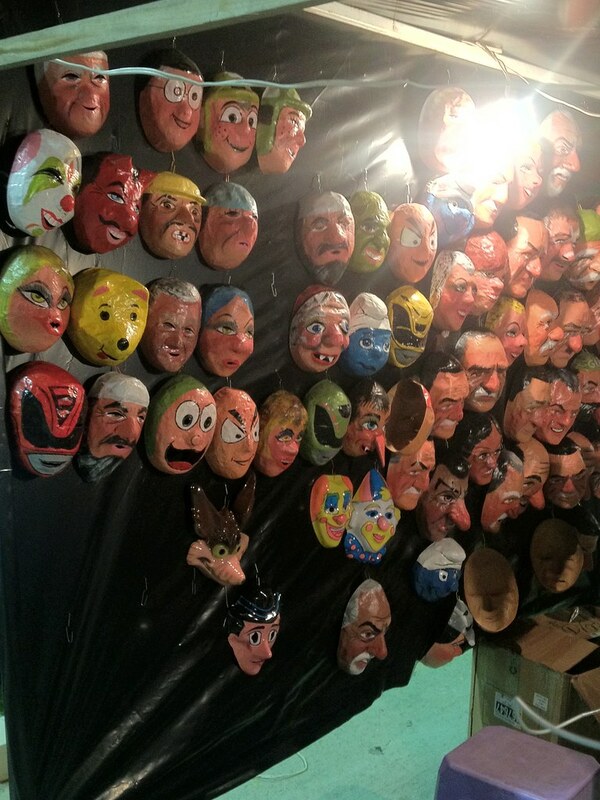 All kinds of masks for sale. My dad and his 2011 creation. During New Year’s Eve day, these are displayed outside every business and household for all to admire. Daring men and boys dress up as viudas –or the old year’s supposed-widows—putting on a show for passing cars and asking for alms to support them in the upcoming year. 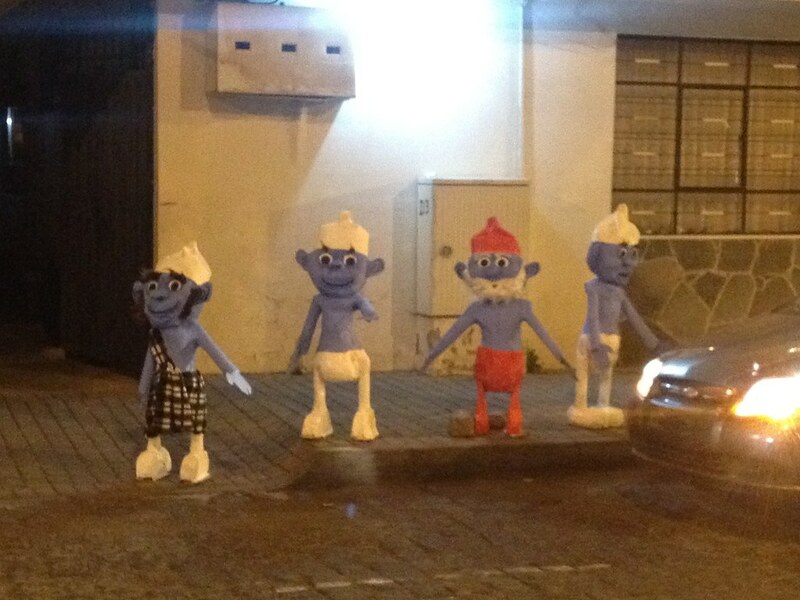 Some smurf Año Viejos displayed in the town square of Cumbaya – 2011. 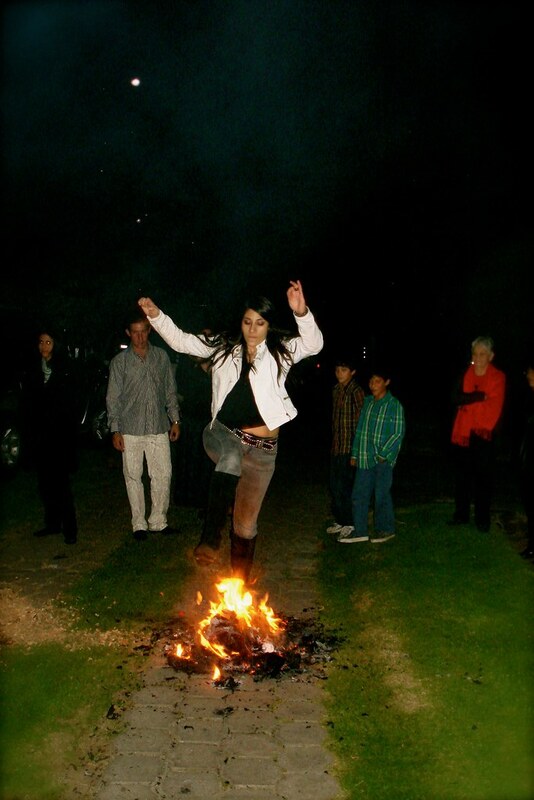 Finally, at midnight, all the Año Viejos are taken to the streets and set on fire. Fireworks are set off, champagne is drunk and to assure good luck in the new year, we jump over the old year’s fiery corpse. Not exactly “environmentally-friendly” and it’s weird to reread that last phrase, but man, I’ll miss this. Tags: blog, culture, Ecuador, ecuadorian culture, ecuadorian food, ecuadorian traditions, fiestas de quito, galapagos, people, photography, quito, South America, travel. Bookmark the permalink. don’t be envious – visit! I must admit, Melanie…it looks special! I just put it on my invisible places I’d like to visit. I don’t know what I can do about your ‘Ceviche,’ but if you really miss jumping over flames, I could walk outside this very instant and find you at least twenty piles of burning trash just WAITING to be played with! Incidentally, has anyone ever fallen into the “old year’s fiery corpse?” I’m guessing that would be a little awkward. Well if I resort to jumping over piles of burning trash this New Year’s Eve – I’ll have you to blame for putting ideas in my head. No one in my family has ever fallen into an old year’s fiery corpse, but I suspect someone, somewhere has. Especially because there’s a lot of drinking involved – usually. Hidden fireworks stuffed inside the dolls are usually the cause of biggest injuries during this time so it’s best not to jump- or stand near- dolls that have been made by untrustworthy sources. P.S. : When I’m actually there in the future, anyone in PC Indonesia is welcome to visit me in Ecuador at any time. I wrote his once and erased it I think, but it bears repeating. If you should go up in a pile of trash fire flames, I am hereby absolving myself of all legal liability (I would be sad though!). And, at the risk of of you reading this twice (if I had in fact already sent it), as a matter of principle, I stay away from all dolls imbedded with explosives…I’m quirky that way. And last, but not least, I’m going to go ahead and include myself in that P.C. umbrella invitation, thank you very much! I MISS U!!! I will be jumping over the año viejo and thinking about u this year! Miss miss miss miss u!